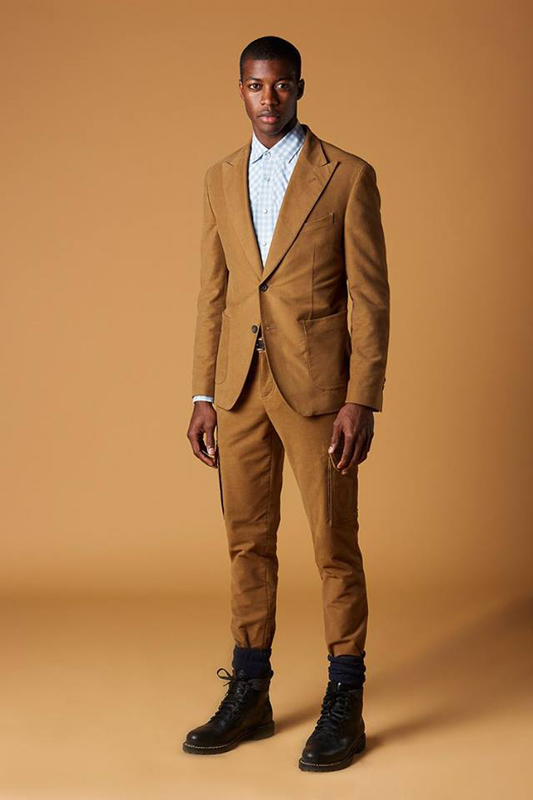 This transition from professional to private life is accompanied by a sartorial shift: a shedding of professional body armor – the ubiquitous power suit – in favor of more relaxed, casually tailored sportswear. 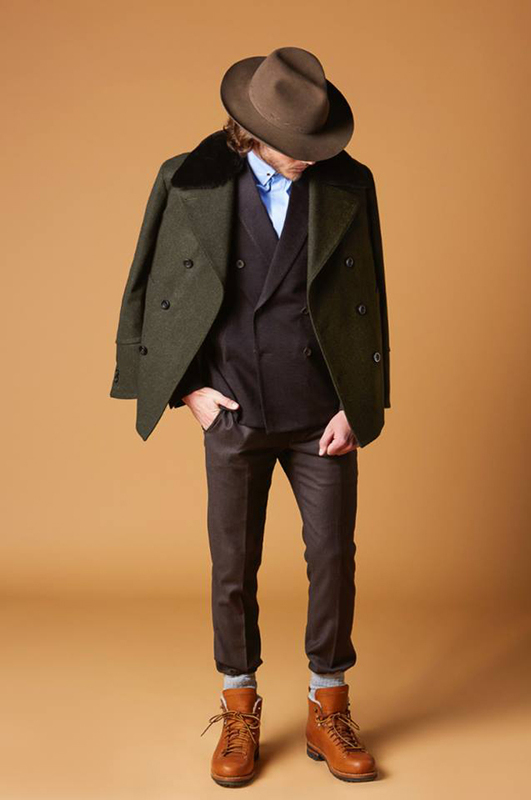 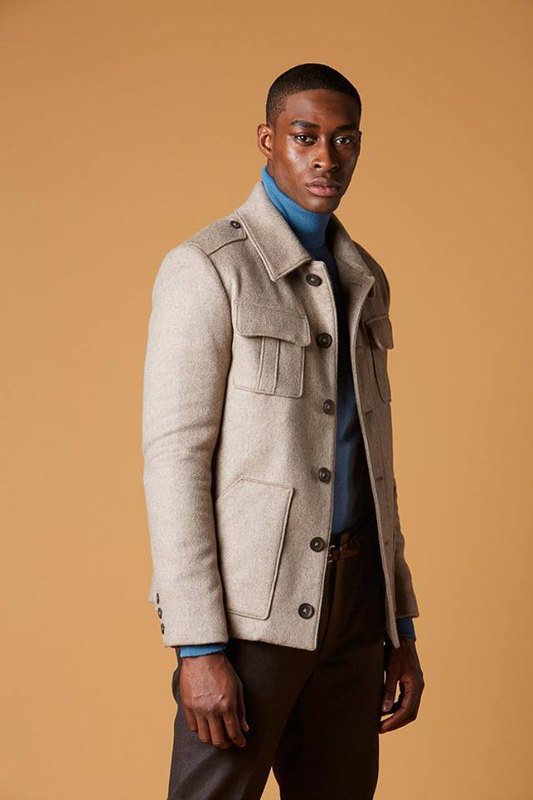 It is this sartorial notion of Sprezzatura – a sophisticated casualness – that BRETT JOHNSON interprets for the F/W16 season. 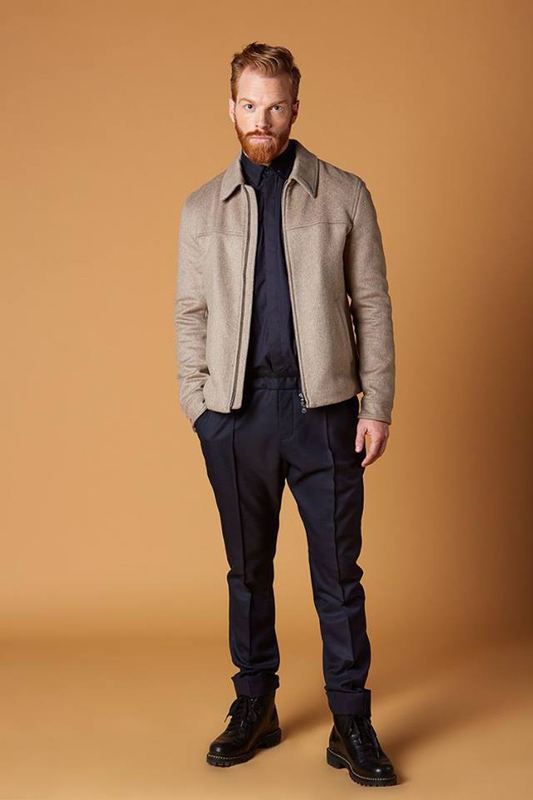 “I was inspired by the leisure lifestyle of influential men and the historical references to the American West found in their off-duty, sartorial choices,” says Brett Johnson, creative director and founder of the eponymous menswear label, BRETT JOHNSON. 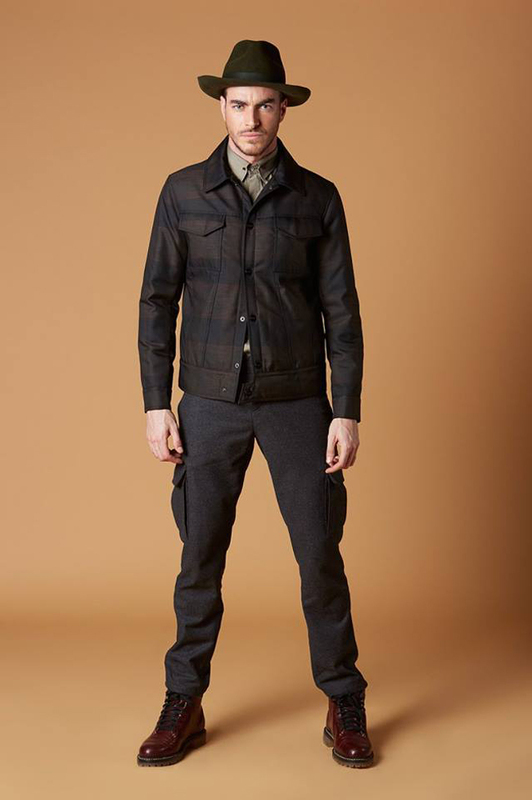 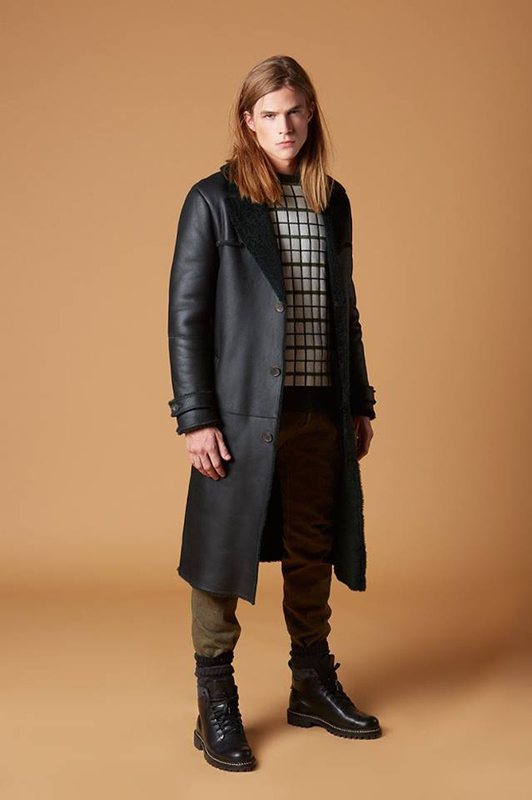 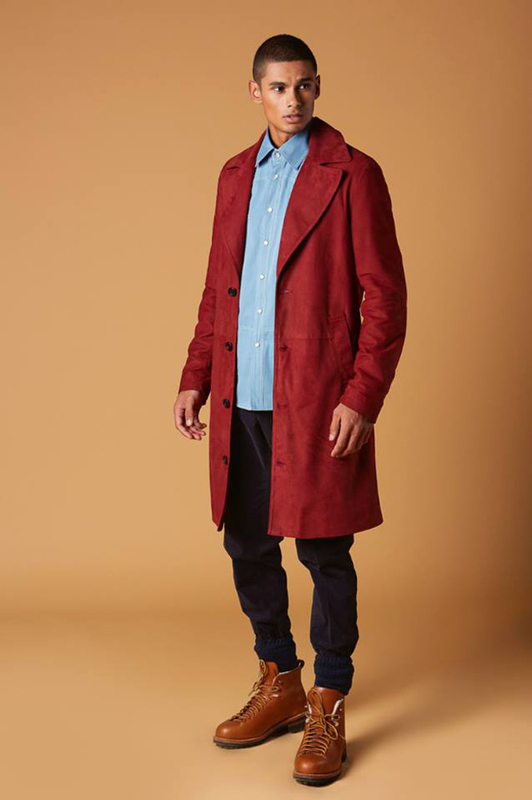 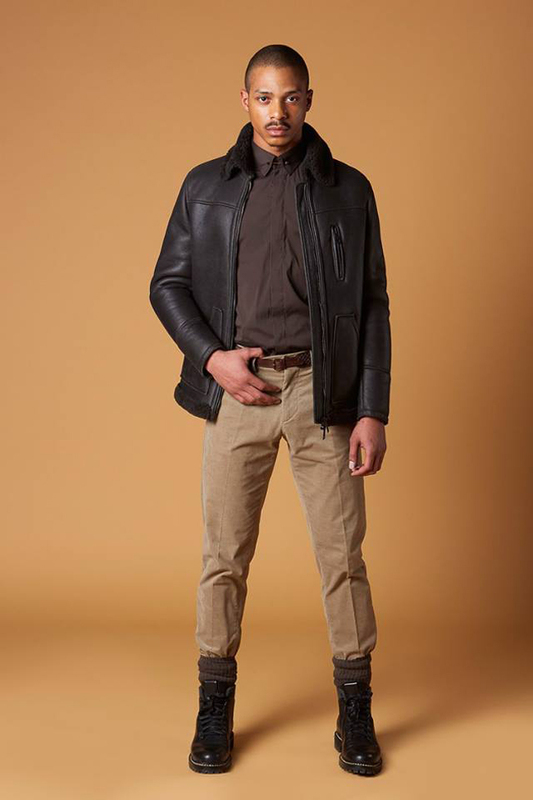 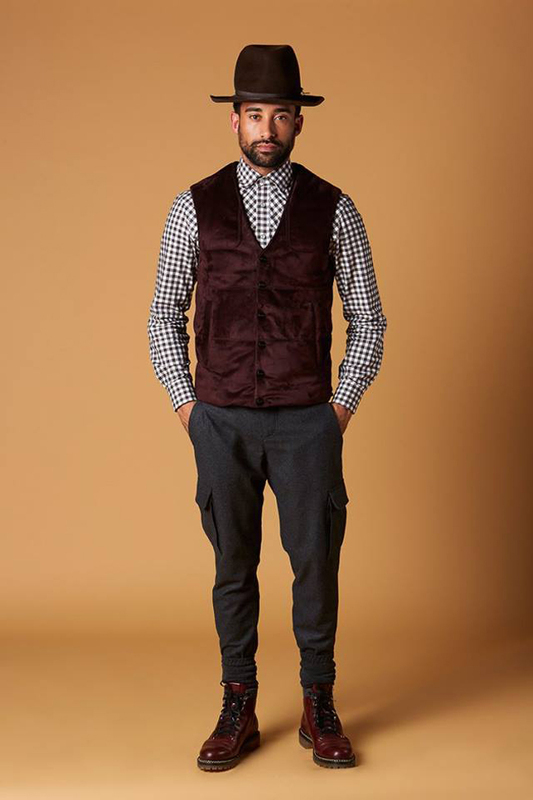 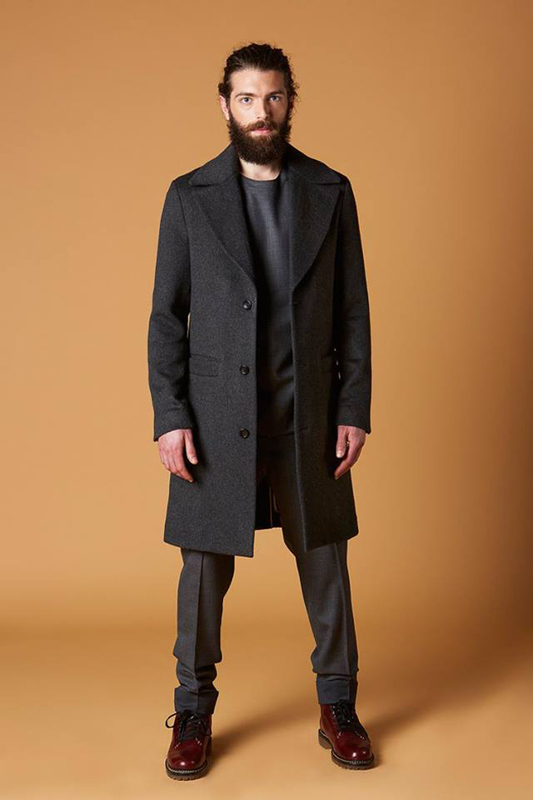 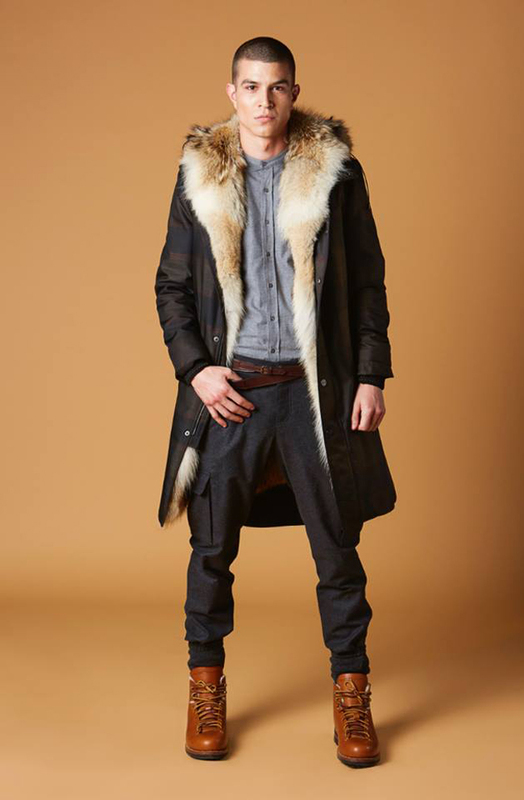 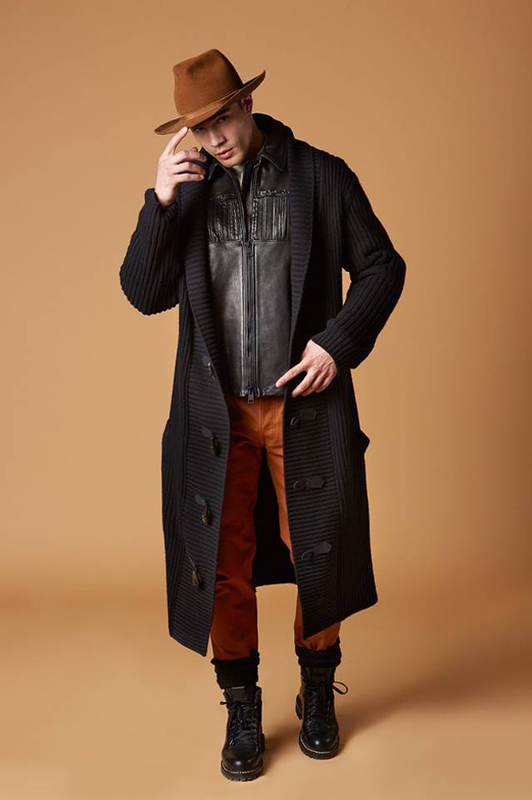 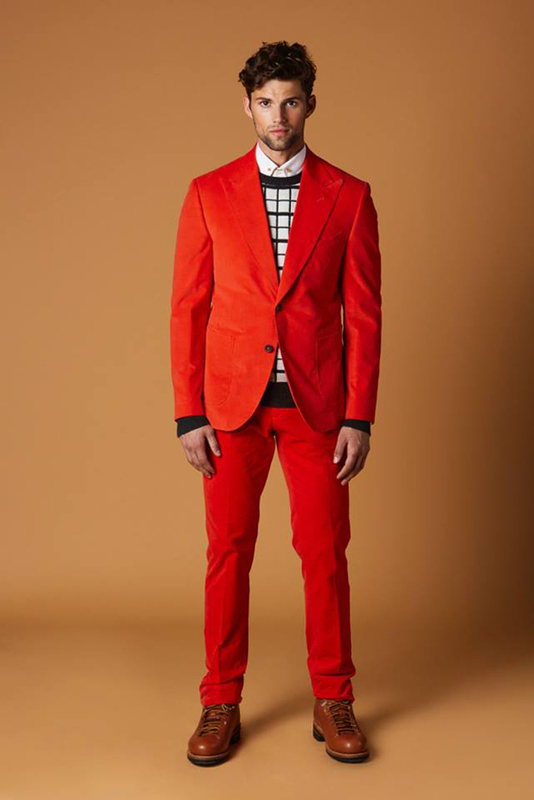 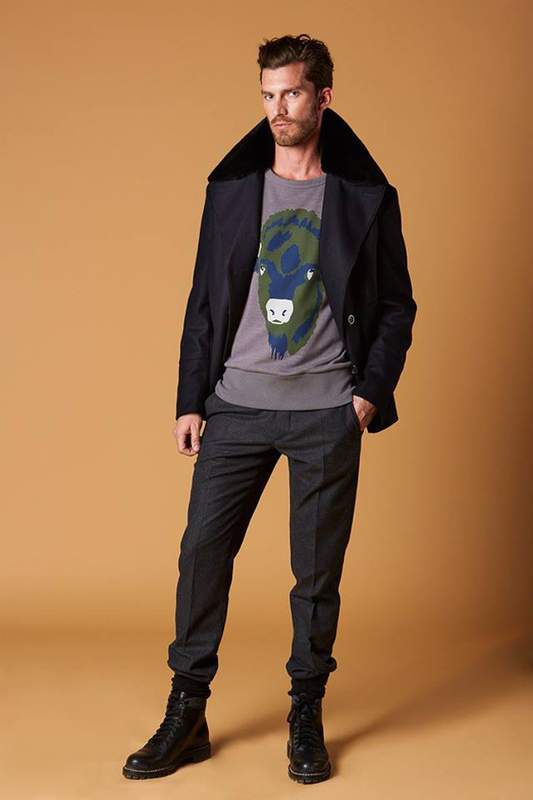 The overall mood of BRETT JOHNSON F/W16 is modern, understated, and refined. 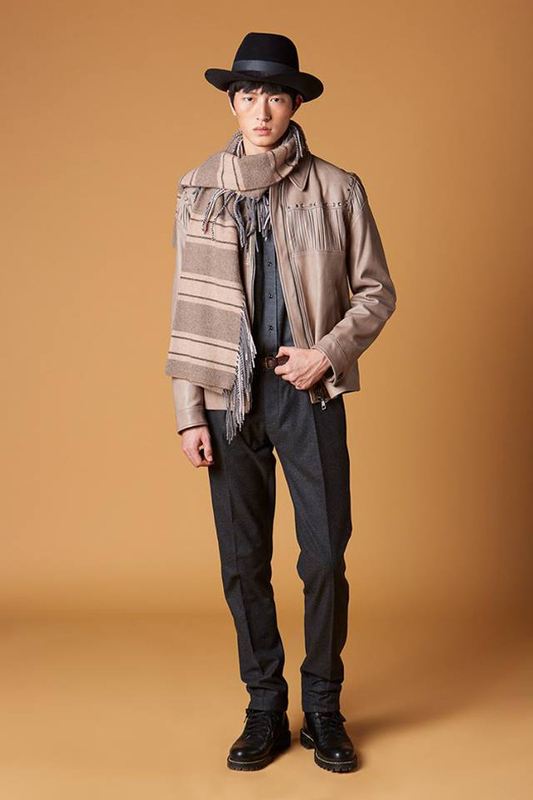 Hand-made in Florence, Italy, the collection exudes a sophisticated casualness that belies the centuries of timehonored, Italian craftsmanship found in each garment’s graceful lines, beautiful finishes, and the exquisite, Italian textiles. 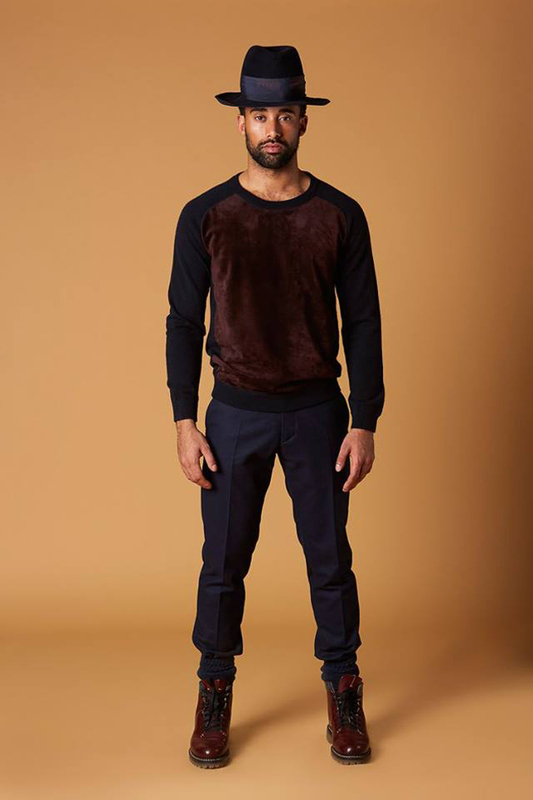 The silhouette remains true to the spirit of men’s sportswear and features the existing product categories – knitwear and shirts – in classically cut lines. 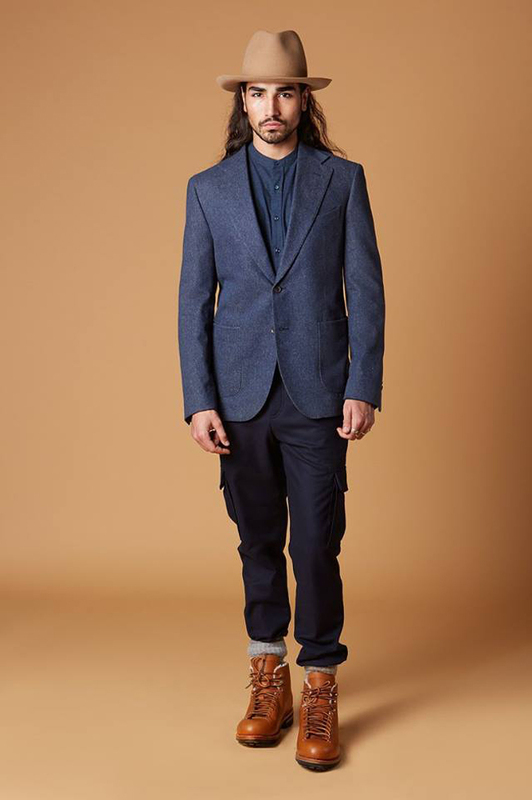 However, the newly introduced blazers and trousers are casually tailored in keeping with Johnson’s sartorial interpretation of Sprezzatura : the new blazers have classic lines, the trousers have slightly nipped waists, the overcoats have comfortable, but controlled volumes. 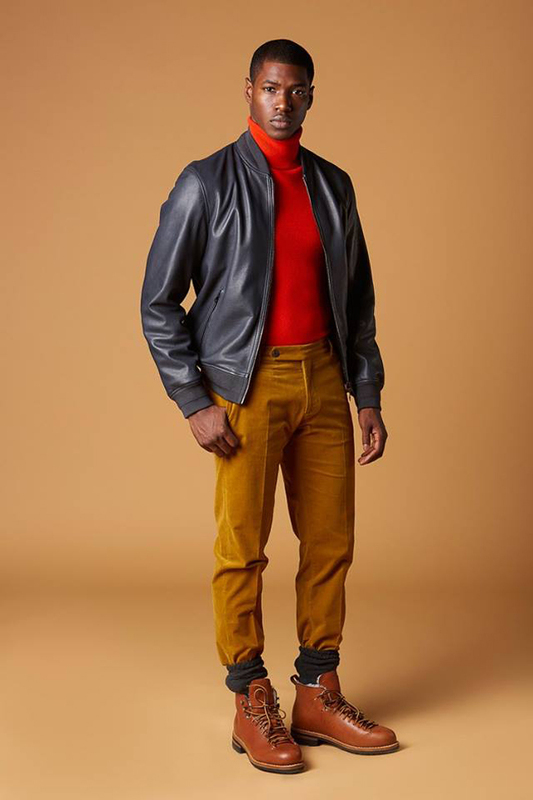 This season features embossed nubuck leathers, luxurious suedes, brushed cottons, natural cashmeres, and high-performance nylons rendered in a bold, saturated palette of earth tones – loden greens, brush browns and burgundies, as well as a spectrum of blues.